I am such a sucker for lamé. I have sound myself spending hours at a time on Etsy browsing through page after page of vintage pieces to find the perfect ones. Some of the best pieces are vintage, and if you’re in luck, they are still in good shape. Luckily, it has been a more popular sight in the modern fashion world and Missoni has put out some pretty lust-worthy pieces. I took my selected Missoni knit lamé skirt and went the 70’s route (duh), pairing it with a metallic, dramatic, bell sleeved bodysuit, metallic fuchsia boots, and some oversized round sunnies. You can create this look for yourself with the same pieces, and of course some variations. Shop below! Get This Metallic Gold Bell Sleeve Bodysuit For $32.00 Here. 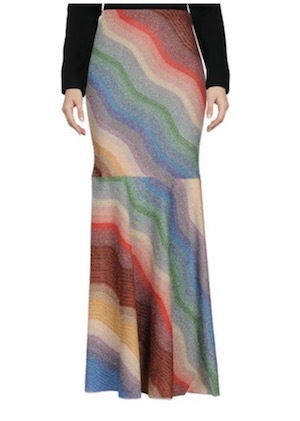 Get This Lamé Wave Maxi Skirt From Missoni For $850.00 Here. Get This Caroline Constas For FWRD Bell Sleeve Bodysuit For $294.00 Here. 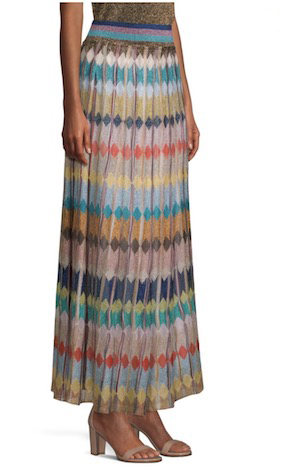 Get This Lamé Diamond Print Maxi Skirt By Missoni For $1,390.00 Here. 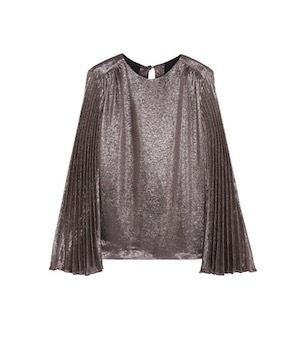 Get This Metallic Pleated Bell Sleeve Blouse From Christopher Kane For $254.00 Here. 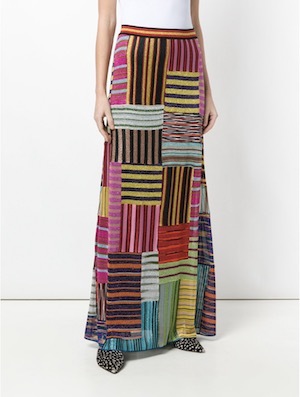 Get This Missoni Metallic Knit Patchwork Maxi Skirt For $1,750.00 Here. Get This Metallic Green Top From Peter Petrov For $495.00 Here. Get This Missoni Metallic Knit Striped Maxi Skirt For $1,310.00 Here.